For Kevin Fulton, 2018 was a new beginning: it was the first year of his farm being fully certified organic and the first time he could sell crops under the organic label – and hence for a premium. Fulton farms 800 acres in Litchfield, Nebraska. 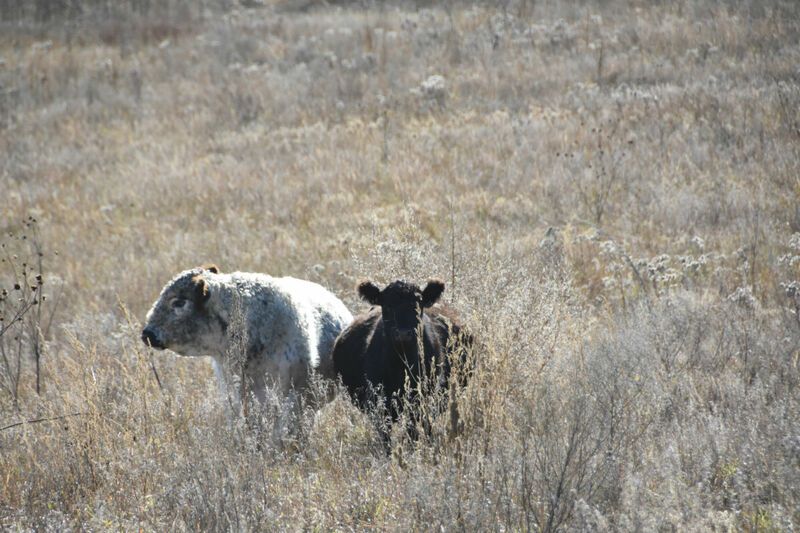 Half of the land is permanent pasture with native prairie grasses for his herd of Galloway beef cattle, 150 acres have been reverted to pasture, the rest is tillable cropland. Today the farm is a third of its original size – and it has become more profitable. “I am on track to make twice as much from 800 acres as I ever did from 2,800,” said Fulton. For him, downsizing has paid off. Farming fewer acres means that he is able to farm better, which results in better profits, increased productivity, more biodiversity and better soil health. The Galloways are Fulton’s passion. 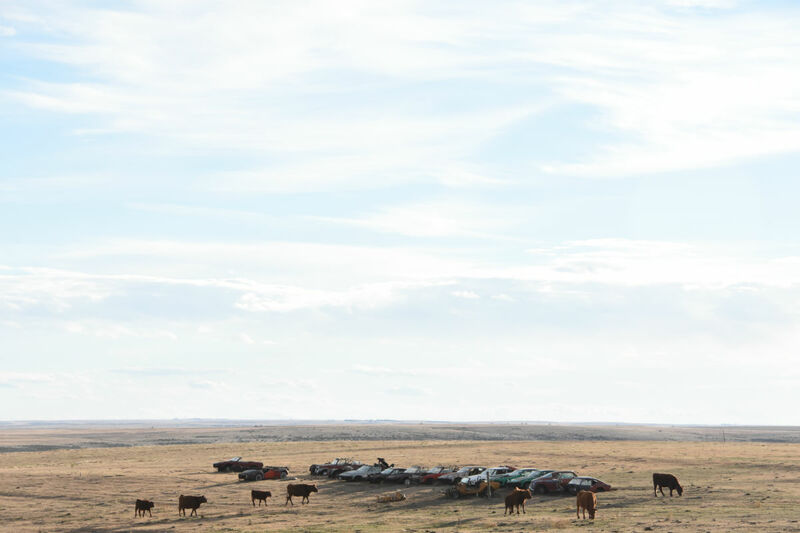 He uses a managed grazing system, moving the animals into a new pasture every few days, and with the smaller acreage he expects to work even more efficiently and profitably. To have the ideal number of animals on the pasture for the right amount of time at the right point in the season takes a lot of thought and planning as well as work: water troughs need to be in place, animals and fences have to be moved. But by micromanaging the pastures he can run about three times as many animals on the land and he does not have to use fertilizer in addition to what the cows deposit there while grazing. Nebraska winters are hard, and while Galloways thrive on the prairie grasses, they don’t mind getting some special winter rations. After the corn harvest, Fulton lets them glean the fields. The animals not only make use of the corn stalks, they also deal with any weeds that might come an ideal preparation for sowing winter cover crops. The multi-species cover crop mix Fulton uses prevents soil erosion over winter and improves soil fertility and overall soil quality. An increasing number of farmers in the Midwest realize the benefits of cover crops but still use a herbicide to terminate them before preparing a ‘clean’ spring seedbed. As an organic farmer, Fulton can’t use herbicides, but why would he? For him, cover crops are an extra supply of cattle feed – he just has to get the animals to the “salad bar” on time. Certified organic beef from 100 percent grass-fed animals should be a guarantee for making a profit. But selling beef at a decent price, said Fulton, remains a huge challenge. His farm in central Nebraska is too far from metropolitan centers with restaurants and a well-to-do customer base able to afford the meat. The farm is remote, the road and rail infrastructure is not good enough for direct marketing, and no certified organic slaughter facilities are nearby. Fulton will be lucky if he can sell some of his meat as certified organic. The rest will be sold as grass-fed and/or local at best. In the current climate it would make financial sense to only grow organic corn. “I can make a $1,000 net profit on organic corn,” he said. “With beef, that’s impossible.” But the long-term viability of the farm hinges on diversity, not monoculture. Corn prices can go up as well as down, in which case there might be profit to be made with organic meat. And that would be just one option. Fulton sees a lot of potential business opportunities on the farm which he doesn’t have the time or the expertise to pursue. Which is why at the end of 2018 he created a job for a young farmer who will be paid for a certain number of hours of work and spend the rest of the time building his own business. He will be able to live in the old farmhouse on the farm and use the available machinery and existing barns – depending on what he decides to do. Vegetable growing, dairy cows and a micro dairy or cheese making, laying hens, broilers, turkeys, pigs … there are many options, said Fulton. It’s about stacking businesses and several farmers working to their strengths. He wants to focus on his business and what he does best, which is looking after his Galloway herd and growing organic corn on the side. And not just corn. Organic wheat also commands very good prices. And few farmers are better able to grow wheat than those in western Kansas. Tim Raile farms 8,500 acres near St. Francis, not far from the Colorado border. At present 1,400 are certified organic and 4,300 in transition. Raile hopes the whole farm will be certified organic by 2022. Like Fulton, one of the biggest problems is the lack of infrastructure: while other grain farmers in the area can deliver their wheat to the nearest elevator (there is one in St. Francis) and collect a check there and then, Raile has to build two new grain bins in town, next to the highway: it’s possible to sell organic wheat at a good price, but buyers often reserve the right to collect it within a year. Until they do so, it has to be stored on farm, or better still, right next to the road. Yet the investment makes sense: Raile sees going organic and growing high value grains to the specifications of organic food producers as the way forward to keeping the farm viable. And if new grain silos are needed to make it work, so be it. His neighbors, Bob and Joanne Klie, went organic in 2005. “When I started it was that crazy Klie, he doesn’t know what he is doing, but I showed them”, said Bob. Of his 2,100 acres, a little under a quarter is permanent pasture. On the rest he grows wheat, corn, oats, peas and triticale, the latter for seed or to mill into flour. He runs 36 cow-calf pairs and raises some pigs, but the meat cannot be sold as organic: the nearest slaughter facilities are in Beaver City, Nebraska or in McPherson, Kansas, a two-and-a-half and a five-hour drive away respectively – and neither facility is certified organic. And there are no organic weaners to be had anywhere. Organic grains usually can be sold at a profit, but on June 19 a hailstorm with 90 mph winds and hail the size of golf balls hit the farm. One thousand acres of crops were destroyed, as was Joanne’s vegetable garden. The farmhouse, too, suffered major damage. The back windows are still boarded up. Crop insurance covered some of the damage, but not the loss of the organic premium. As bad as such a weather event is, the viability of the farm hinges not on producing crops, but on marketing them. The Klies invested $40,000 in a freezer trailer which allows them to collect meat cuts, sausages and burger patties produced from their animals at the facility where they were slaughtered. The Klies store the meat on farm in freezers and sell through direct marketing via a food cooperative. 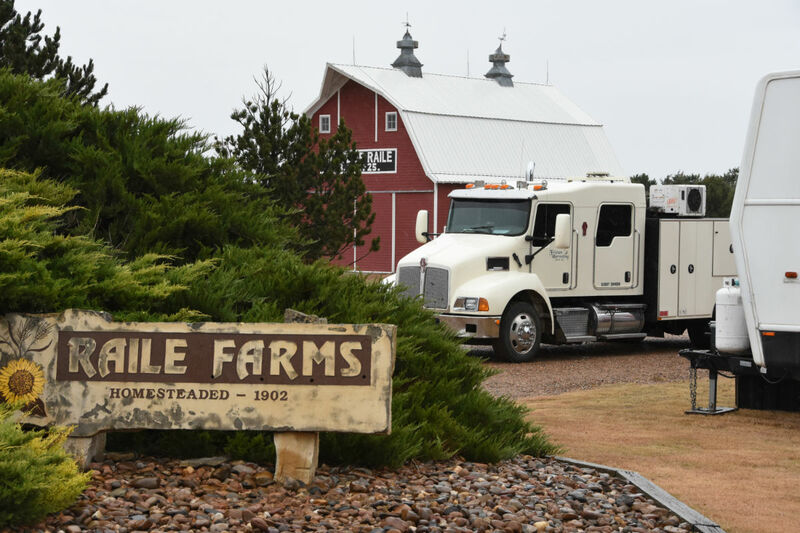 The High Plains Food Coop aggregates the produce from about 50 farms and has been going for 11 years. Online orders are taken until the second Thursday of each month. The produce is delivered a week later. Not only are beef sales are going well, but heritage corn, triticale, Turkey red wheat, rye, emmer and einkorn flour are also in demand. Joanne Klie mills the grains on the farm and each 2.5 pound packet comes wrapped in a hand-sewn cloth bag, a personal touch customers love, said Klie. To her, sewing these individual bags is a small task she takes on gladly, given the fact that 50 pounds of triticale sell for $3-4 wholesale while coop customers pay $5-6 per 2.5 pound bag. The Klies aren’t the only ones depending on the cooperative. Nina and Jeter Isley run the Y Knot Farm and Ranch in Bird City, 15 miles east of St. Francis. They have a small herd of Belted Galloway and grow wheat, vegetables and fruit. With two hoop houses they’re able to start producing early and extend the season in fall. Jeter Isley is the president of the High Plains Food Cooperative and he is worried. “We need to up our game or fold,” he said. Y Knot and the Klies are among the biggest producers in the cooperative, which has a turnover of just $200,000 annually. At present the coop is run by the producers who volunteer to update the website, communicate with customers, pack orders and make the six-hour return journey to Denver for delivery. In addition to the farm work it is a real strain and “the founders are getting old,” said Isley. Other food coops face similar problems. The Valley Food Coop in Colorado has folded, as has the Oklahoma cooperative that served as the model for High Plains. Isley thinks the cooperative has to grow in order to survive: expand the customer range, switch to weekly deliveries and hire someone to deal with orders. Everyone should do what they do best, said Isley. Farmers know how to grow food and raise animals. Marketing usually is not their forte. To him, High Plains will have to be run professionally in order to succeed. Ten to 12 larger producers who could sell $10,000 – $20,000 worth of produce annually. Expanding the range and cross-sourcing produce should guarantee that customers can get what they want when they want it. If the board were to agree to that, Isley thinks the High Plains Food Cooperative could serve customers from Denver to towns in eastern Kansas. With a larger number of producers there would be more pick-up and delivery points, giving more people in rural Kansas the chance to buy and eat high quality food grown by local farmers. Marianne Landzettel is a journalist writing and blogging about food, farming and agricultural policies in the UK, the US and South Asia.